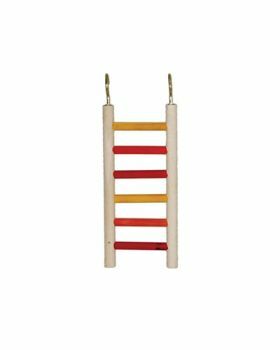 A reliable and durable small bird ladder will help to improve the physical well-being of your bird as well as reducing boredom and offering mental stimulation. Get creative with it to create a challenge or an exciting change in your bird's cage. Try putting it from the cage bottom to perch, from perch to perch, or make a path destination leading to a favorite foraging device or toy. 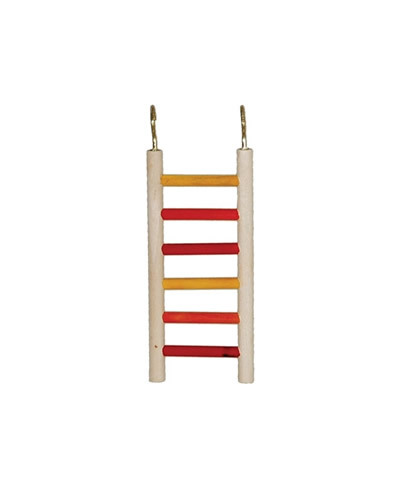 Notify me when 8x3" Parakeet Ladder is in stock.